As captain of the Brooklyn bowling team The Stars and Strikes I took it upon myself to create the uniforms. 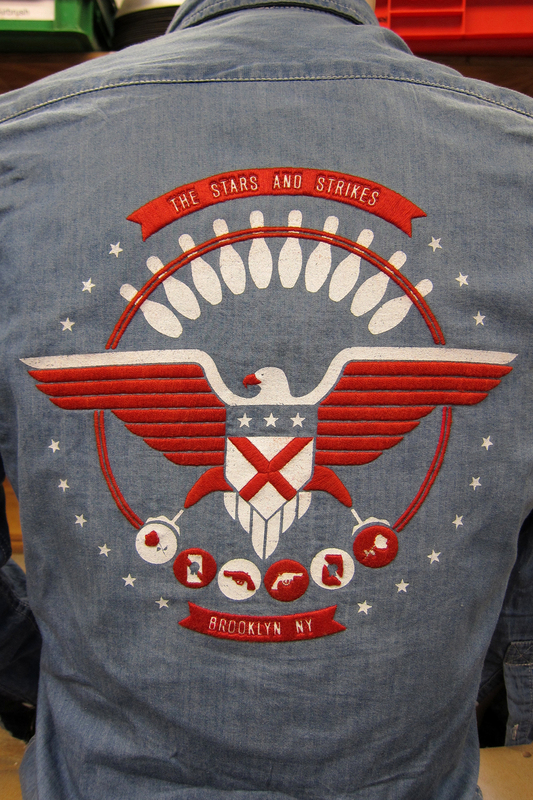 Using American biker jackets and military iconography as inspiration I set upon creating the logo and shirt layout. 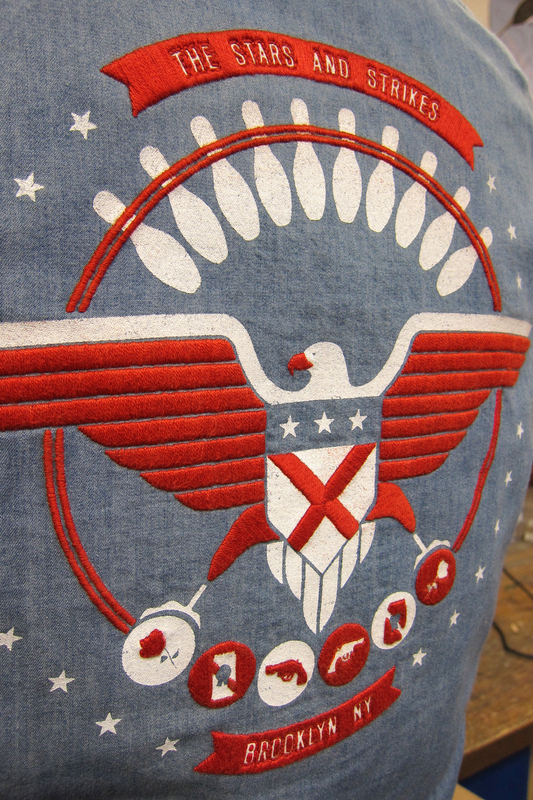 The giant eagle is based upon the Great Seal of the United States clearly modified with bowling iconography. After having the final designs screen-printed I also hand-embroidered each players name onto the front. 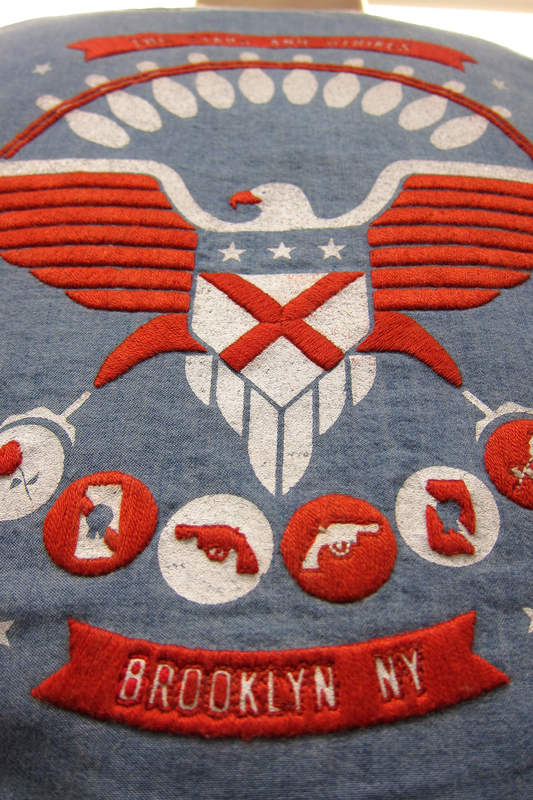 Custom patches were ordered and reflect the 'Strike Shield' present in the center of the logo. For my personal shirt I decide to hand-embroider over the red screen-printed area in order to simulate the texture of the patch.